There is no hyperbole here. 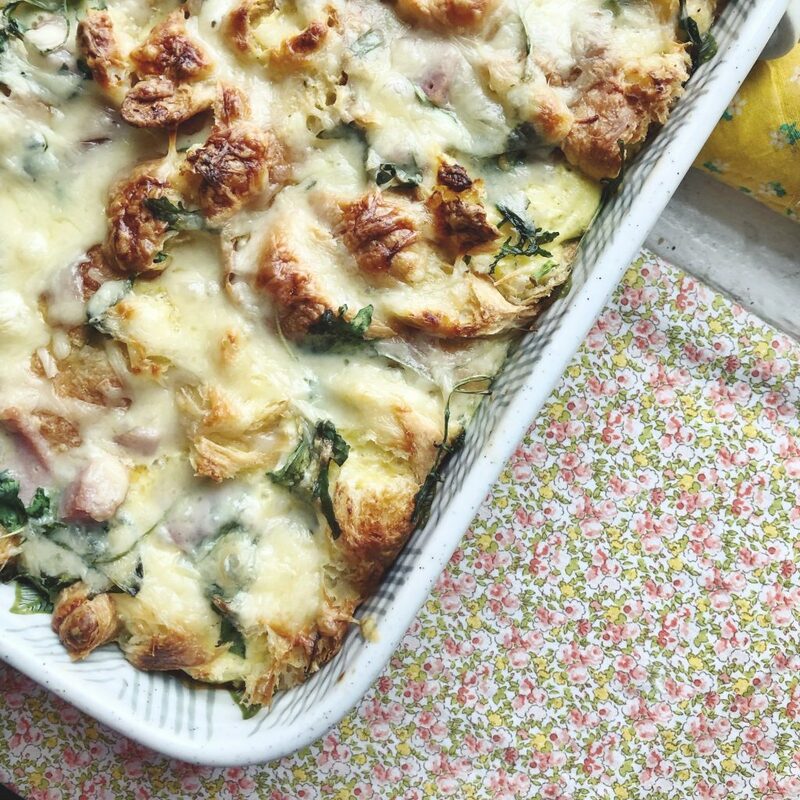 I could eat this casserole for breakfast, lunch and dinner. It’s truly that good. It’s truly that easy. It’s truly that dreamy. Buttery croissants that crisp up on the edges are paired perfectly with creamy, dreamy eggs. Yes, dreamy. In addition to all this wonderfulness, it’s the perfect make and bake later casserole! It’s delicious and fancy enough for company and hearty enough for a week-night supper. It’s my favorite with sausage, but also delightful with ham. Before I embarrass myself more, by going on and on, I’m just going to say: make this casserole. It’ll be a fast favorite, no doubt. Cook sausage about 8 minutes in a skillet over medium-high heat, stirring to crumble. Toss together sausage, Parmesan cheese, and next 3 ingredients; arrange mixture in a 13- x 9-inch baking dish coated with cooking spray. Whisk together milk and next 2 ingredients; pour over the sausage mixture. Cover and chill dish for 8 hours. Preheat oven to 350°. Uncover casserole, and sprinkle with Gruyère cheese. Bake 45 minutes or until golden and puffy. Let stand 10 minutes.